The sun is warm overhead as it beats down on the sand and the sea. The waves lap against the shore, their hue a gorgeous shade of aqua that stretches out as far as the eye can see ahead of you. 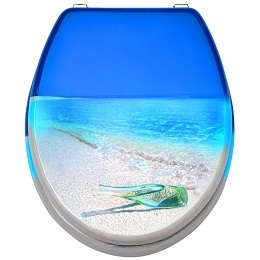 The sky is as brilliantly blue as a sapphire gem, and the sand has not been disturbed by a single footprint. You continue your walk along this gorgeous stretch of shoreline when something catches your eye. The glint of glass draws you closer, and you bend down to see a bottle that has been carried to this beach from some distant location. You admire its beauty and wonder what it has seen during its long travels. 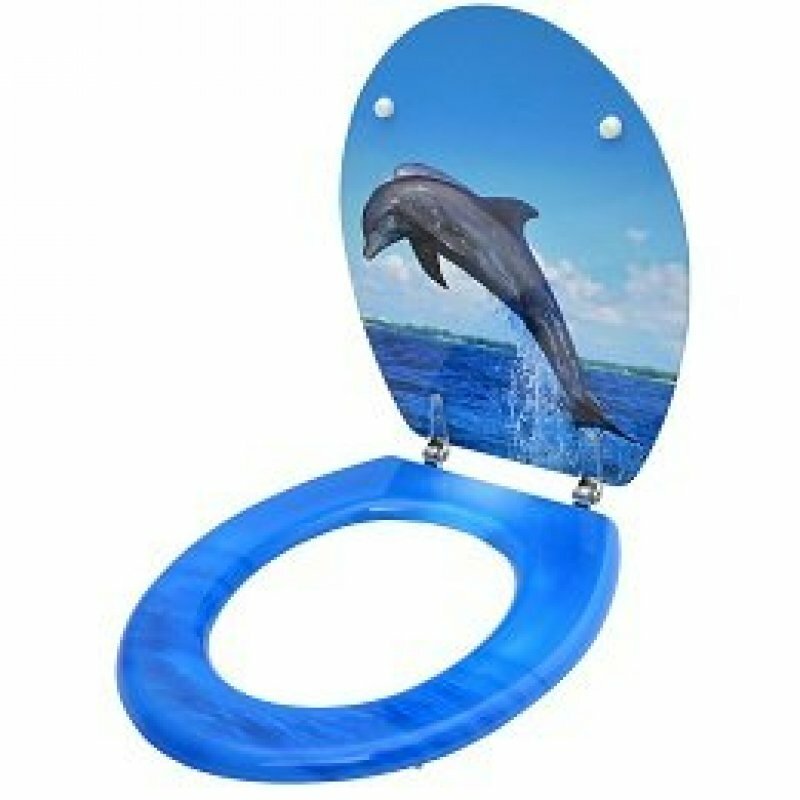 This beautiful scene is what this toilet seat brings to your bathroom with its decorative painted surface. 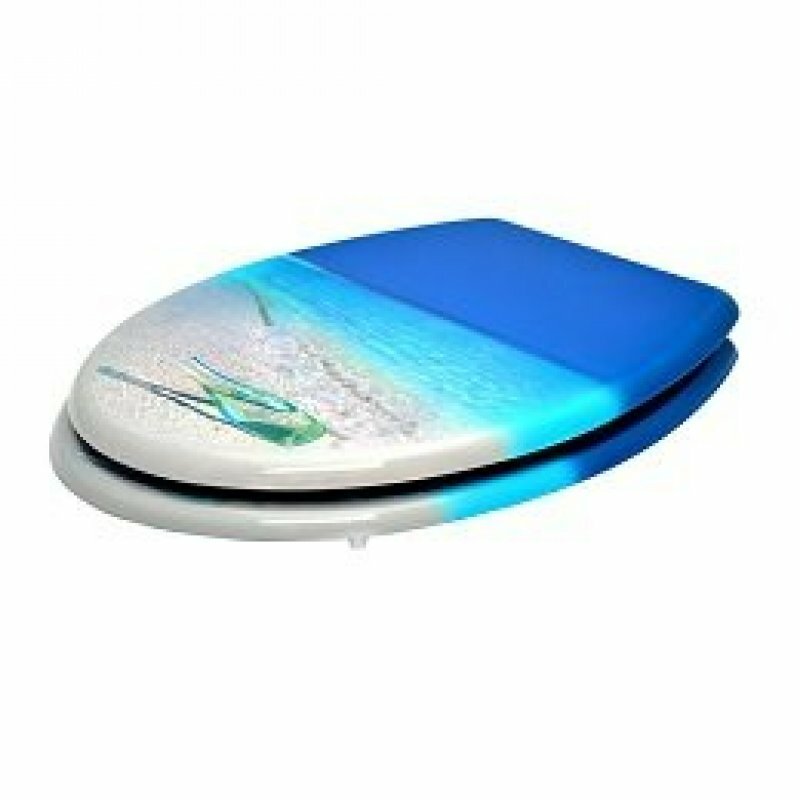 Fashioned from durable hardwood, the toilet seat will add to the appeal of your bathroom and transport you to that sandy locale each time you enter the room. Outfitted with rustproof hinges designed to fit most standard toilet bowls, the seat comes with all of the necessary hardware for fitting. The seat's exterior measures 450 millimetres in length by 375 millimetres in width.